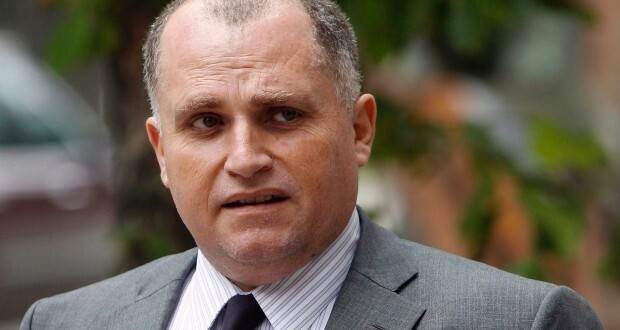 Rocco Galati argued that he had a constitutional right to recover legal costs at $800 per hour. In rejecting this submission, Justice Stratas reiterated that the rule of law "is not an empty vessel to be filled with whatever one might wish from time to time." The Federal Court of Appeal’s February 8, 2016 decision in Galati v. Harper is notable for several reasons. First, it notes that fundamental legal rules surrounding costs are not jettisoned in the constitutional context. Second, it recognizes that the constitutional guarantee of the “rule of law”, though seemingly broad in the abstract, has a defined meaning and cannot be used to fill whatever seems convenient at a particular time. Third, it appropriately admonished counsel for making scandalous submissions that sully the reputation of the courts and have the potential to affect public confidence in the administration of justice. The background to the decision almost requires no introduction. 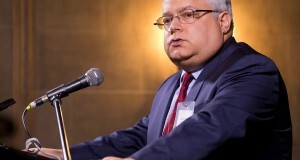 After Prime Minister Harper appointed Marc Nadon, a judge of the Federal Court of Appeal, to one of the “Quebec seats” on the Supreme Court of Canada, Toronto lawyer Rocco Galati commenced an application in the Federal Court seeking to declare said appointment illegal and unconstitutional. After a well-publicized kerfuffle, the cabinet referred the issue to the Supreme Court. In its well-known “Nadon Reference”, the Supreme Court agreed with Mr. Galati’s position. The Nadon Reference rendered Mr. Galati’s application before the Federal Court moot. He and Paul Slansky, who represented the Constitutional Rights Centre (the “CRC”), nonetheless sought their costs of the application on a solicitor client or “substantial indemnity” basis. They calculated those costs using an hourly rate of $800, the maximum recoverable under the Ontario Rules of Civil Procedure for lawyers of their experience. They used this figure notwithstanding that they were subject to the Federal Court Rules (under which the entitlement to recoverable fees is generally much less) and they do not actually charge their clients such a figure. They further asserted that they had a constitutional right to solicitor client costs. Messrs. Galati and Slansky appealed Justice Zinn’s judgment to the Federal Court of Appeal. the litigants must not only have no personal financial interest in the litigation, they must show that it would not have been possible to effectively pursue the litigation with private funding. In Justice Pelletier’s view, the issues raised in the Nadon Reference was primarily “lawyer’s issues” and not within the exceptional category of cases contemplated by Carter. 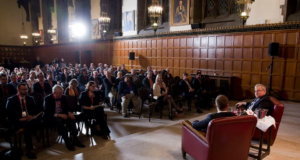 Second, and more important, it was clear that the issues raised in the Nadon Reference could have been – and were, in fact – pursued without Mr. Galati’s involvement. The fact that the application set in motion a series of events that led to the Nadon Reference did not change this truth. Finally, there was the fact that the application, for which Messrs. Galati and Slansky were seeking their costs, was not successful as it had been rendered moot. In the circumstances, there was no factual or constitutional basis to award Messrs. Galati and Slansky costs on a solicitor client basis. But a constitutional right for lawyers acting as public interest litigants to collect pay and bonuses from the public purse in the amount of $800 an hour? I don’t see that in the text of the Constitution or by necessary implication from it. Nor does the Supreme Court see it […] I also reject the appellants’ submission that some principle sitting invisibly alongside the visible text of our Constitution somehow springs up to entitle them to $800 an hour. It is important to understand what is being said here. Mr. Galati and the CRC state as a fact that a Court which, having agreed that certain government action was inconsistent with the Constitution and having therefore set it aside, will nonetheless be seen to be, and will in fact be, “in bed” with the government if it fails to award the successful applicant its solicitor client costs. The tie-in to the Constitution is that this collusion deprives the affected litigant of its constitutionally protected right to a fair and independent judiciary. To be “in bed” with someone is to collude with that person. I do not understand how one could hope to protect the right to a fair and independent judiciary by accusing courts of colluding with the government if they don’t give the applicant its solicitor client costs. The entire Court system, it seems, must be alleged to be actually or potentially acting in bad faith in order to instill public confidence in the fairness and independence of the judiciary. This is reminiscent of the gonzo logic of the Vietnam War era in which entire villages had to be destroyed in order to save them from the enemy. The fact that this argument is made in support of an unjustified monetary claim leads to the question “Whose interest is being served here?” Certainly not the administration of justice’s. This argument deserves to be condemned without reservation. Strong arguments can be made for reforming costs rules in civil litigation. But pending that, constitutional litigants, like all other civil litigants, must play by those rules. Galati v. Harper helpfully reminds us of that while simultaneously noting that there is no constitutional right to costs of litigation. Such a right simply does not exist in the text of the constitution, nor by necessary implication from it. But perhaps most importantly, the decision recognizes that counsel are not permitted to make scandalous allegations. Mr. Galati’s submissions, when taken to their logical conclusion, suggested that whenever a court decides a case in favour of the government, it is biased in favour of the government. Such allegations are manifestly untrue, yet create a serious risk of damaging public confidence in the administration of justice. The Federal Court of Appeal should be commended for condemning these submissions.